Home Facility Management Nearshoring Is Brazil set to be the next automotive giant? 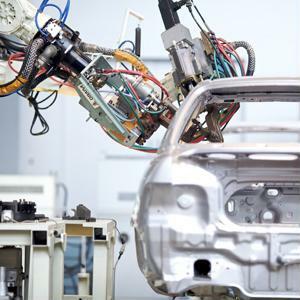 Amid discussions among procurement specialists about nearshoring and the associated benefits, the Brazilian economy has attracted a fair amount of attention from the automotive industry. Sourcing experts have often pointed to Brazil's lackluster infrastructure and deficiency of skilled labors as factors that should cause organizations to reconsider setting up operations in the nation. However, the country isn't rampant with issues. Sure, it has some challenges that must be acknowledged, but that doesn't mean professionals should write it off as a viable option. IndustryWeek noted that British automotive enterprise Jaguar Land Rover announced the commencement of a $290 million construction project for a factory located in Itatiaia, a town with close proximity to Rio de Janeiro. The facility will employ 400 workers and boast a production capacity of 24,000 vehicles per year. CEO Ralf Speth asserted that the establishment of the plant will better position Jaguar to accommodate customers throughout Brazil and greater Latin America. "Our new facility in Brazil is an important strand of Jaguar Land Rover's long-term sustainability," said Speth, as quoted by the source. "The start of construction is a significant milestone and represents another step forward in our plans to create a truly global manufacturing footprint." Jaguar isn't the only vehicle-maker poised to launch operations in Brazil. Automotive Business Review acknowledged China Automotive Systems' construction of a facility in Sao Paulo. The plant will specialize in steering unit assembly, possessing a manufacturing capacity of 100,000 items. However, this number can be expanded by 600,000, provided that demand is healthy enough. Operations are expected to commence at the beginning of April of next year. Chairman Hanlin Chen informed the press of China Automotive Systems' reasons for building a plant in Brazil, citing the prevalence of Chinese automobile original equipment manufacturers throughout South America. Chen hopes that China Automotive Systems will be able to act as a supplier for many of these OEMs. In addition, he emphasized the importance of delivering quality goods to South American consumers. "This facility will provide improved supply and service to strengthen our customer relationships," said Chen, as quoted by ABR. "We look forward to further increasing our presence in South American and other global automotive markets." Chen's comments regarding the ubiquity of Chinese vehicle OEMs is certainly something to consider. China Automotive Systems' established presence means these OEMs won't have to source parts from factories overseas. Proximity is a huge consideration among purchasing management professionals, as it often determines how many risks a company may encounter when distributing goods long distances. Transportation considerations aside, it also means that Latin American automotive professionals can establish stronger relationships with one another if visiting a factory doesn't require several flights and 18-hour layovers. This level of availability enables sourcing experts and other specialists to maintain quality control and express concerns on a more personal level. Jaguar hasn't ignored these factors when looking for potential suppliers. IndustryWeek referenced Jaguar's procurement plan, which includes plants located close to Itatiaia. However, the company will continue to participate in global sourcing, maintaining relationships with production companies throughout the world. As mentioned earlier, Brazilian manufacturing isn't known for having an educated workforce, but that doesn't mean the nation's people aren't willing to learn. Jaguar recently opened a program outside of Itatiaia geared toward attracting young workers to careers in the automotive industry. Laborers between the ages of 17 and 26 will receive training in addition to vehicle assembly experience. This step is critical not only to Jaguar's survival in Brazil, but also for the nation's economy. Getting young people interested in advanced manufacturing will set the nation up for growth over the long term.